Melanie Weller is a licensed physical therapist, consultant, and medical intuitive with over 20 years experience. She is the owner of Beyond Calm, a wellness-based practice in New Orleans that specializes in treating complicated chronic pain patients who have failed multiple medical interventions. 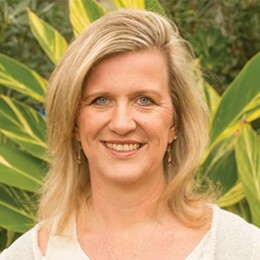 In addition to addressing biomechanical restrictions that are complicating stress management, Melanie helps people release emotions and other stresses stored in their body so they can connect more fully with themselves and heal. Melanie studied Sports Medicine at the University of Virginia and received her Masters in Physical Therapy at the University of Southern California. She is a career Navy spouse, mother, and Irish Channel resident.